A centralised function where customer contacts are managed through various communication channels. Do you want to work for the UK’s biggest travel insurance provider? Are you passionate about managing a team to deliver the best customer experience? If so, our client that boasts an office in a prime City Centre location is looking for an experienced Team Leader to manage a team of Insurance Claims Negotiators. The team, which will include up to 12 direct reports, deals with various travel insurance claims. Full training and ongoing support will be offered to the successful candidate. A competitive annual salary with annual bonus and excellent holiday entitlement is also on offer, as well as the rare opportunity in this industry to work Monday to Friday office hours 8.30 a.m. to 5.00 p.m.
Due to the nature of the Team Leader role, it is important that the successful candidate demonstrates strong contact centre leadership experience. A good working knowledge and understanding of the claims insurance market and associated FCA regulations would be beneficial but not essential. If you are interested in this position or would like to hear more details then please contact me ASAP as my client is looking to move quickly on this role. Are you looking for a varied role where you will have the opportunity to learn how to manage travel claims? If so, our client that boasts an office in a prime City Centre location is now looking for several motivated and organised people to join their established travel team. The Claims Negotiator will be responsible for assessing, negotiating and settling travel insurance claims and providing a high quality of service to customers. Full training and ongoing support will be offered to the successful candidate. A competitive annual salary with an increase after successful passing of probation and excellent holiday entitlement is also on offer, as well as the rare opportunity in this industry to work Monday to Friday office hours 8.30 a.m. to 5.00 p.m.
Due to the nature of the Claims Negotiator role, good numerical and communication skills are crucial, therefore GCSE Maths and English at Grade C or above (or equivalent) should be possessed. Previous contact centre experience is also required, ideally within insurance or claims, although this does not necessarily need to be within travel. Even with this knowledge, it is expected that the successful candidate will take up to 6 months to be fully understanding of the role and its duties. Our client that boasts an office in a prime City Centre location is looking for an experienced Customer Service Agent to join their medical travel claims team. Dealing with the first notification of medical travel insurance claims or the co-ordination of these claims, the Customer Service Administrator role offers an excellent opportunity for someone to further develop their customer service skills. 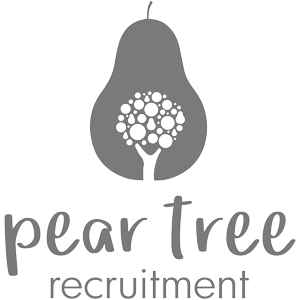 Due to the nature of the Customer Service Administrator role, it is important that the successful candidate demonstrates strong customer focus, communication and problem-solving skills. While previous customer service experience is required, this does not necessarily need to have been gained in a contact centre environment. As this is a 365-day operation, the successful candidate will need to be flexible to work Monday to Sunday shifts between the hours of 7.30 a.m. and 10.00 p.m. including Bank Holidays. If you are interested in this position or would like to hear more details, then please contact us ASAP. Have you worked night shifts before? Do you want to work within the security industry, in a control room, as a Night Shift Operator? As a Night Shift Operator, you will be monitoring multiple CCTV screens for various different businesses across the UK. You will be in a small team covering a 12 hour shift, between the hours of 8pm and 8am, working 4 nights on and 4 nights off. You will be a organised and pro-active individual who is able to act quickly in high pressure situations, you will be able to multitask and use various computer systems at one time. The ideal candidate will have worked within a customer service focused role. it is desirable that you have worked night shifts before. The client has also expressed a keen interest in candidates who are 'Gamers'. All offers of employment are subject to the receipt of satisfactory references from the previous 5 years employment history and vetting checks. If this role is of interest, please contact me today! Based in North Bristol, my client has been delivering specialist insurance solutions in to the Social Care and Charity Sector for over 25 years, recently partnering with a leading insurance broker, they are now fiercely strong in the world that is insurance! Come and join the team at this exciting time and start your career, as most of us have, at entry level, but with real potential to excel and progress, with constant support and guidance from the friendly team around you. My client is looking for a candidate who is comfortable talking over the telephone, who is tenacious and resilient. You may have worked over the telephone in previous roles, within sales or customer service and have a confident and 'can do' attitude. Within this role you will be making calls to clients, their commercial insurance is due for renewal, you will be discussing the clients needs and booking them in to speak with an Insurance Consultant, or transferring them through. In return you will enjoy working Monday - Friday: 9am - 5pm, access to free car parking, a generous holiday allowance, competitive salary and much more. Please apply today as my client is looking for somebody ASAP. Do you want to join the UK’s most recommended, most trusted and recently voted as one of Britain’s best for the customer service they provide, as a Customer Service Assistant? As a Customer Service Assistant, you will be passionate about customer service and wanting to take that next step in your career in to a professional office environment. You may have gained your excellent customer service skills from the retail/hospitality/care sector or you could have worked in an office environment previously? Either way, if you feel you have great customer service skills, I would love to hear from you. Recognised for putting their people first, my client is offering an opportunity that has promising career potential, for forward thinking and driven individuals, this role is based in Croydon, just a 5-minute walk from East Croydon train station. Exclusive online shopping portal; you'll find excellent savings/ discounts from popular retailers, holidays, travel and so much more! Money off for you and your family for insurance products - up to 50%%%% discount. Please apply today to discuss this opportunity further, interviews will be taking place next week! Are you an experienced mechanic with office-based experience? Are you looking for a new challenge within the insurance industry? Our client based in the City Centre are looking for an experienced Warranty Claims Assessor to join their existing team. It is essential that the successful Warranty Claims Assessor has previous experience to ensure that they can make an immediate impact to the team. Reviewing and maintaining knowledge levels for the job and keeping up-to-date with departmental changes. Due to the nature of this role, the successful Warranty Claims Assessor should have previous vehicle technical experience and/or qualifications and some previous body shop experience. In return, they are offering an excellent salary, with a strong overall benefits package, and Monday – Friday 9.00 a.m. – 5.30 p.m. office hours. Our client is keen to get the successful Warranty Claims Assessor in place ASAP so for further details or to apply for this position please contact me. Do you want to work in a role where you will make a real difference?  We are proud to recruit for one of Bristol’s employers of choice; an employer that really empowers their people to make decisions and find solutions for their customers. As a Senior Customer Service Advisor, the disabled customers you support will have a vehicle leased through the company that is either adapted or non-adapted to suit their needs. This scheme enables them to enjoy quality of life by staying mobile through the use of their car. The variety of queries that you answer as a Senior Customer Service Advisor will include; contract amendments and cancellations through to complaint handling. This, when coupled with the vulnerability of the customers you are supporting will mean that no two calls will be the same. You won’t be working in a typical contact centre environment where you feel pressured to get through the calls as quickly as possible. Rather, you will take the time that is needed to ensure the customer’s needs are met and you will end the call feeling confident that you did everything that you could for them. Yes, there will be times where the calls will be tough. However, the help and support you provide as a Senior Customer Service Advisor will really make a difference and you will find this hugely rewarding as a result. In order to get you ready for this role of Senior Customer Service Advisor, you will receive market leading training and ongoing support. This is as well as a fantastic starting salary and benefits package. Based in their state-of-the-art office based in North Bristol, there is plenty of onsite and offsite parking available, as well as public transport links. Due to their ongoing success, we are recruiting monthly for this fantastic opportunity. If you want to be part of a customer service team that really do go that extra mile for their customers, then we want to hear from you!